Rock n Roll Half Marathon Savannah announces two person relay! Last week, I received two bubble wrapped packages in the mail from the Competitor Group and I instantly knew what was inside waiting for us. 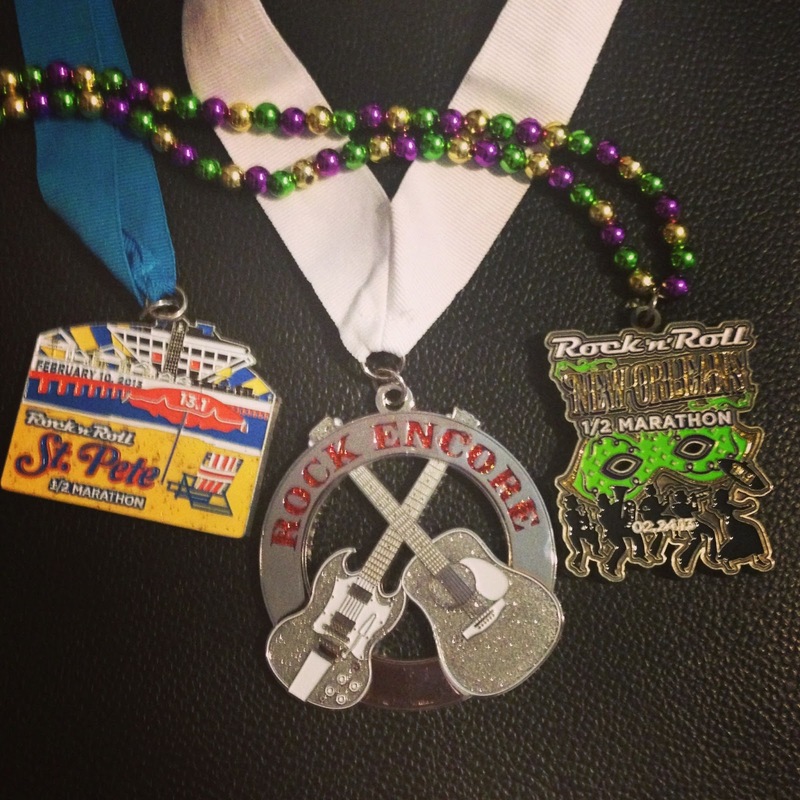 We finally received our first Rock n Roll Marathon Series Heavy Medal - the Rock Encore! We received this beauty for completing two Rock n Roll half marathons in 2013 and we're very excited to add it to our sports hook! We will receive a second Heavy Medal in November, the Triple Crown, after completing Rock n Roll Half Marathon in Savannah! Speaking of Savannah, I will be in the beautiful city this weekend for my friend Darlynn's bacherlorette party. Aside from celebrating in Savannah this weekend, I am looking forward to running 13.1 there in November. I have a $10 discount you can use for the Half and Full marathon - Click here to register and use WINESAV at checkout. Click here to register and don't forget to use the Rock n Roll Savannah discount code WINESAV to save $10 on a half marathon or full marathon entry! I hope I get to come run this with you guys!